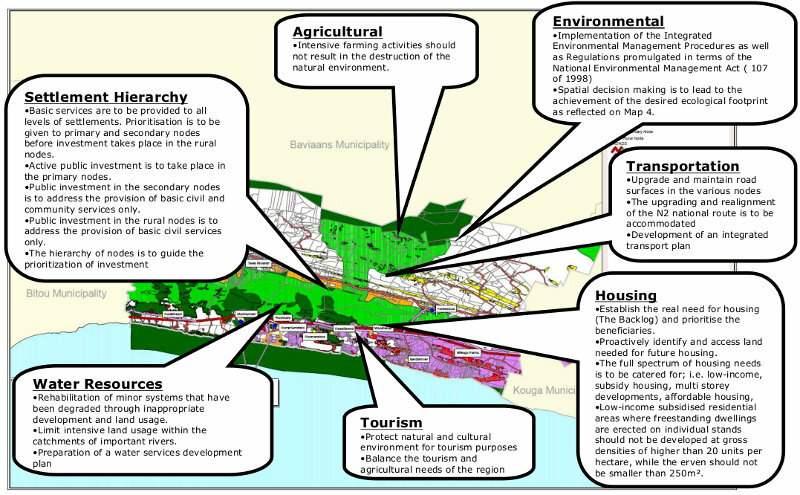 Represent the spatial development goals of a local authority. It is not comprehensive but should be a broad framework identifying the minimum public actions necessary to achieve the direction of the plan. 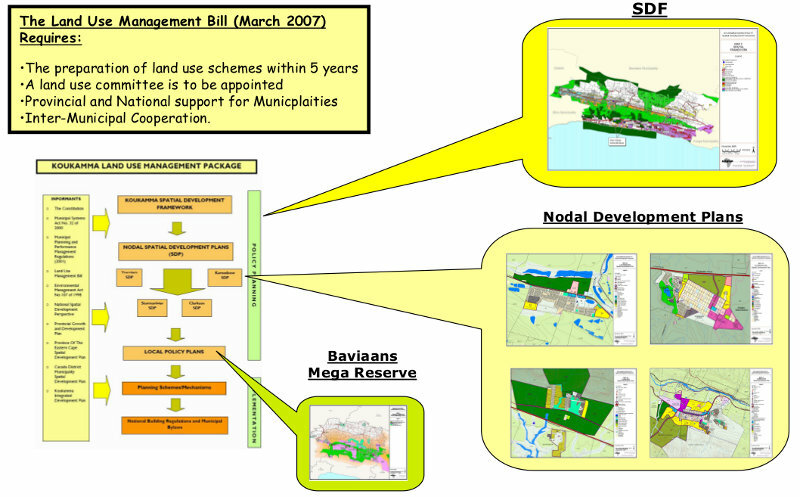 Basic services are to be provided to all levels of settlements. Prioritisation is to be given to primary and secondary nodes before investment takes place in the rural nodes. 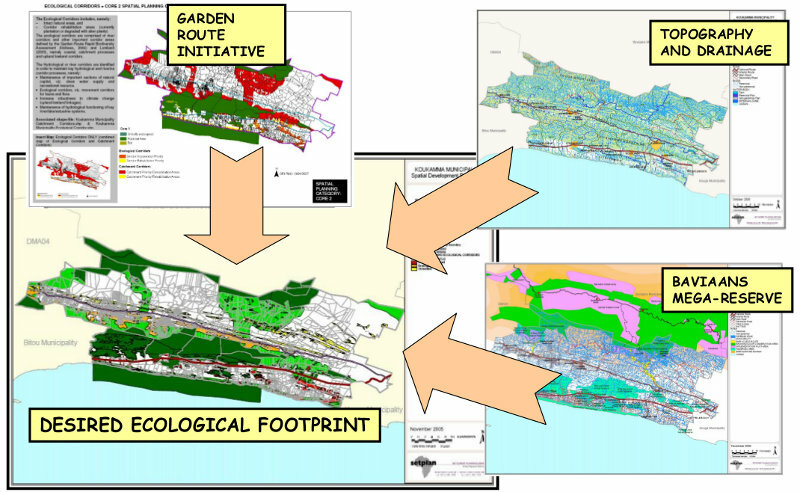 Active public investment is to take place in the primary nodes. Public investment in the secondary nodes is to address the provision of basic civil and community servicesonly. Public investment in the rural nodes is to address theprovision of basic civil services only. 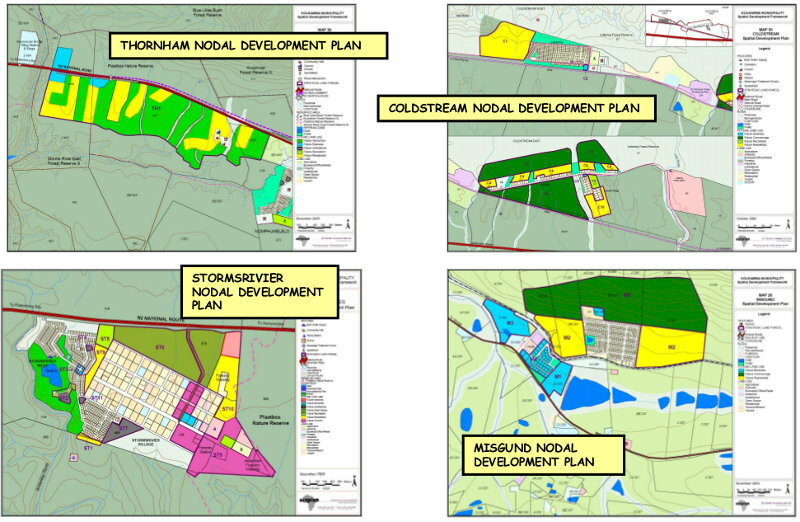 Nodal Development Plans developed for: Kareedouw, Joubertina, Krakeelrivier, Louterwater, Misgund, Coldstream, Coldstream, Stormsriver, Nomphumelelo, Woodlands, Eersterivier and Clarkson. 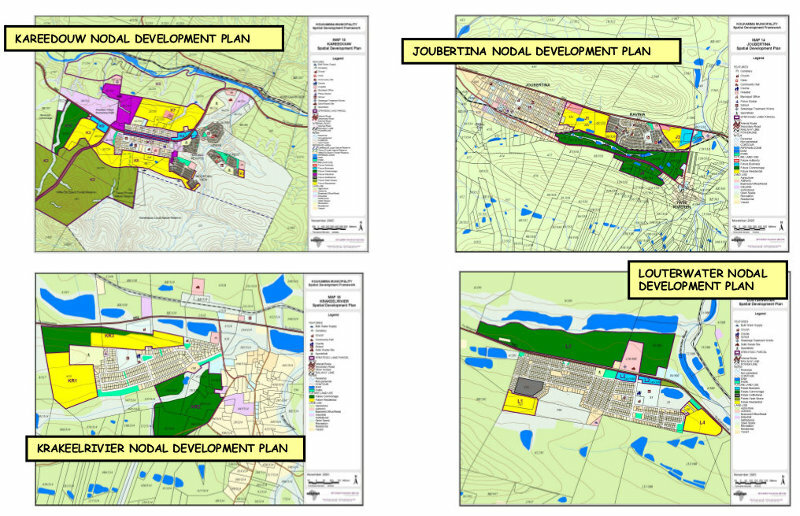 The above feed into the Province of the Eastern Cape’s Strategy Framework for Growth and Development 2004-2014 to align with the Cacadu Municipalities vision and take into account the Koukamma IDP in order to present the Koukamma SDF. 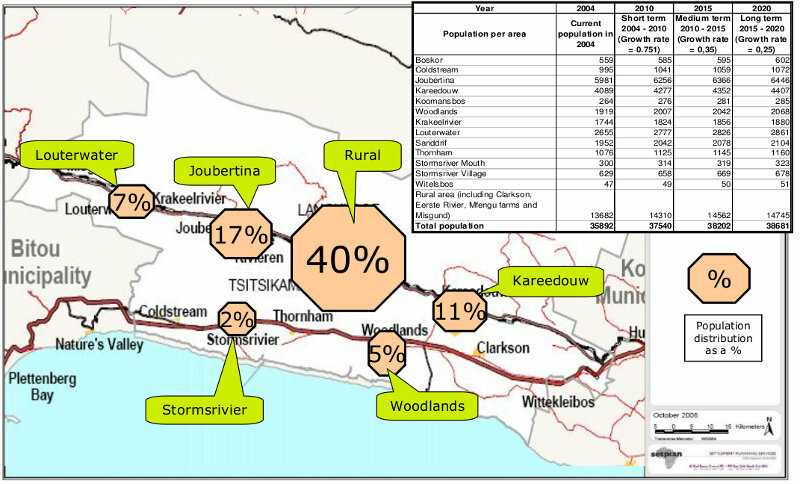 No Koukamma settlements have been highlighted as significant within the Cacadu Region: The significant nodes are Grahamstown, Graaff-Reinet, Jeffreys Bay, Humansdorp and Port Alfred. 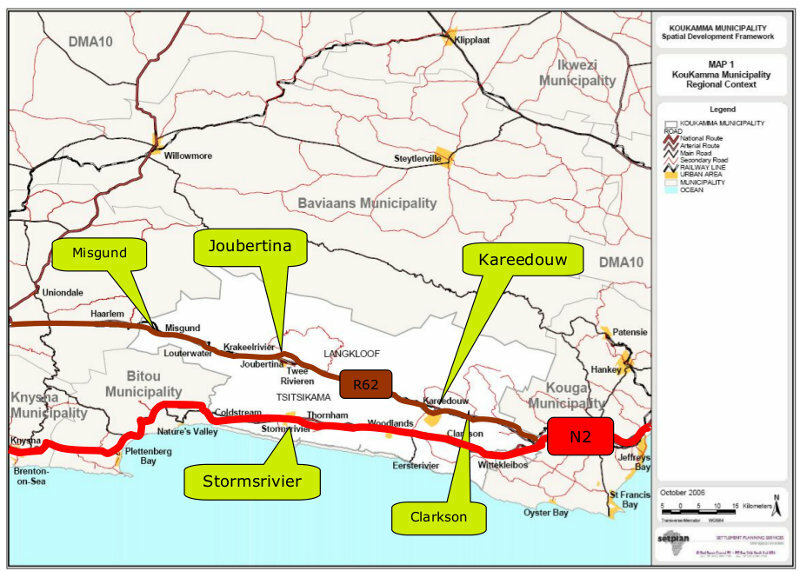 The N2 National Route is a primary road linkage within Cacadu The road network is in need of maintenance given the potential for agricultural export. 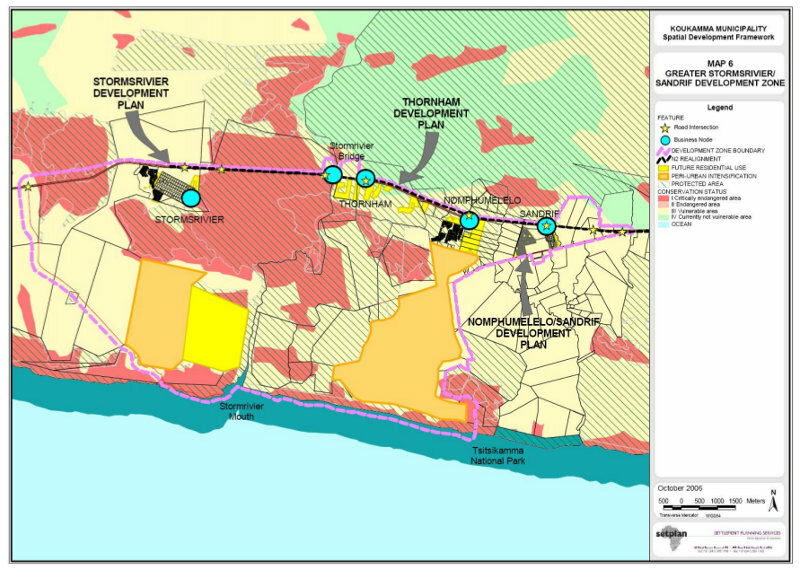 The KouKamma has fifteen dispersed prominent settlements each with specific bulk infrastructure requirements and large disparities in service levels. 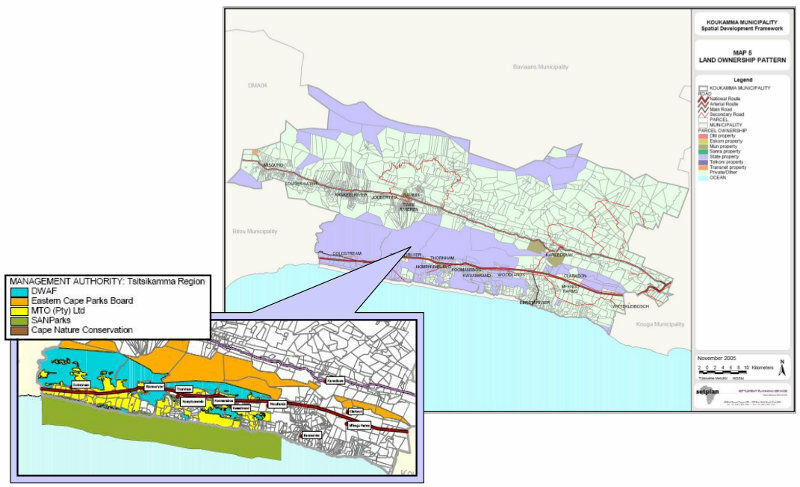 The upgrading and maintenance of this infrastructure will continue to provide a major a challenge to municipal capacity. 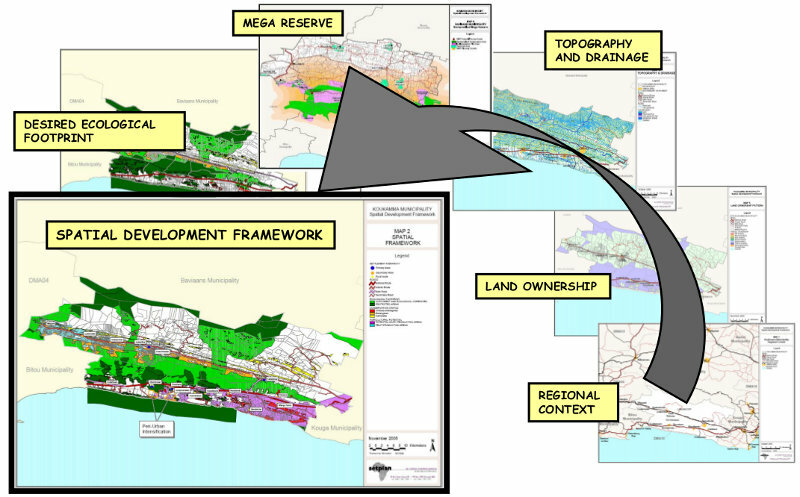 Urban expansion cannot be accommodated on existing state owned land. 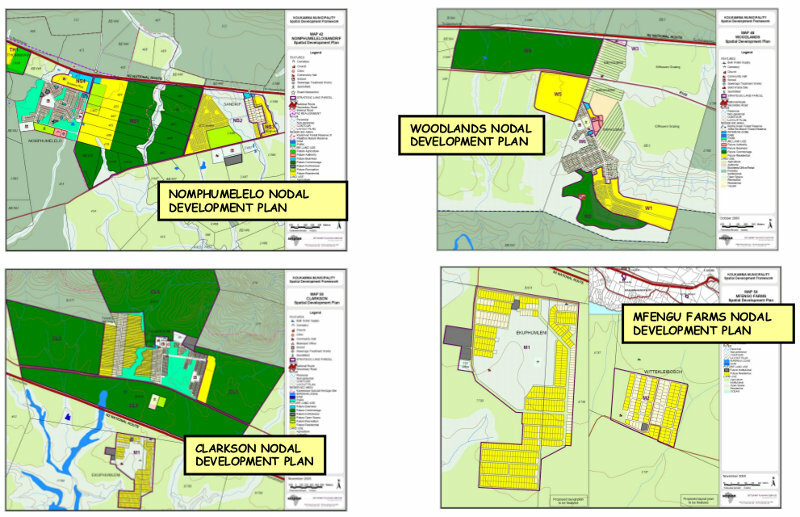 Development Guidelines will require that municipalities may need to: Discourage the continued existence of settlements; Maintain current settlements and prevent these from expanding and Encourage active growth and expansion of settlements that meet acceptable criteria.